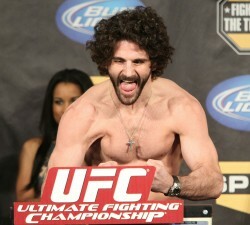 Welterweights Charlie Brenneman and Daniel “Ninja” Roberts will square off as a part of the UFC on FX 1 undecard on Jan. 20 from Nashville. Sources close to the match-up confirmed the bout to MMAWeekly.com on Monday. NBC Sports first reported the fight.